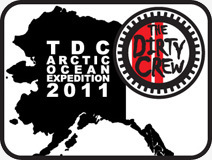 The Dirty Crew: D100 Training? That looks like a great location to ride. Oh yeah! Think of the aliveness! Think of the independence! Yes! Awesome!!! "This is a Fun Ride not a Race!" --oh it will be fun ride, real fun! Yeah. My only issue is that I have plans that Sat morning. But maybe we should just plan to get there Sat afternoon, chill out, ride the Sunday poker run. Mattawa's only about 2:30hrs away. Both Days! Ride Both Days! Yes!